Baruch Spinoza was a philosopher born into a Jewish Dutch family of Sephardi/Portuguese origin. He widely credited with laying the foundations for the 18th-century Enlightenment and modern biblical criticism, including modern conceptions of the self and the universe. He came to be considered one of the great rationalists of 17th-century philosophy. 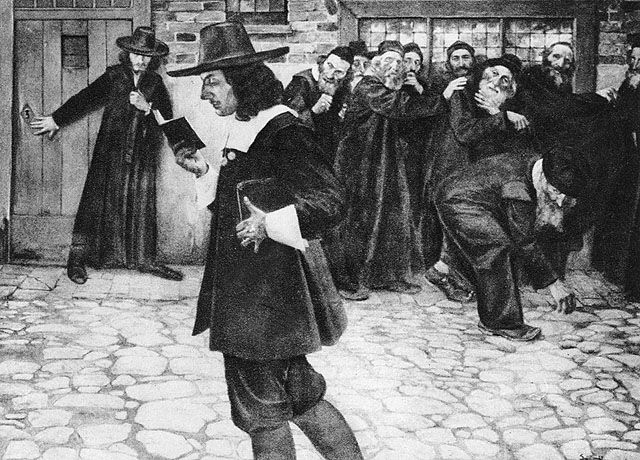 Spinoza’s ancestors were of Sephardic Jewish descent and were a part of the community of Portuguese Jews that had settled in the city of Amsterdam in the wake of the Portuguese Inquisition (1536), which had resulted in forced conversions and expulsions from the Iberian peninsula. His Marano background is often stated as the reason to is scepticism toward traditional religion. Spinoza attended Keter Torah yeshiva of the Amsterdam Talmud Torah congregation in his youth – headed by Rabbi Saul Levi Morteira. Spinoza’s book, the posthumous Ethics, in which he opposed Descartes’ mind–body dualism, has earned him recognition as one of Western philosophy’s most important thinkers. In the Ethics, “Spinoza wrote the last indisputable Latin masterpiece, and one in which the refined conceptions of medieval philosophy are finally turned against themselves and destroyed entirely.” Hegel said, “You are either a Spinozist or not a philosopher at all. Unfortunately, for his writings, Spinoza was excommunicated by the community at an era atheism was seen as a threat to society.